AUSTIN (KXAN) — The Texas House Committee on Agriculture and Livestock released an interim report Jan. 7 recommending state lawmakers to enact legislation to legalize and regulate commercial hemp farming statewide. According to the report, the committee argues that the cultivation of and processing of hemp could be beneficial for Texas farmers, the state's economy and the environment. Although hemp and marijuana are both varieties of the plant species Cannabis sativa L, the two varieties are genetically different and used for different purposes. While marijuana contains about 5-25 percent THC content, hemp contains only trace amounts and will not produce intoxicating effects or a "high." Hemp is also grown as a fiber, seed and dual-purpose crop and is considered an agricultural commodity in over 30 nations. The plant can be used to produce animal feed, paper, construction materials, insulation, fabrics, foods, beverages, soap and various other manufactured goods. 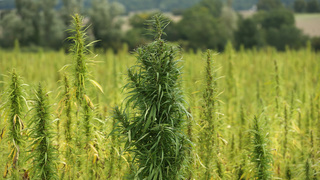 The 2014 Farm Bill enabled higher education institutions and agricultural state departments to grow hemp under certain conditions, including that the plant is grown for research purposes. To date, at least 41 states and territories have either enacted agricultural pilot programs or other legislation removing barriers to hemp production. As of January 7, a 2018 Farm Bill has passed in the Senate and a different version has passed in the House of Representatives. The two versions of the bill are currently under review in conference committee where both chambers will attempt to agree upon one iteration.